After completion of their website, The Living Desert was ready to move forward with rebranding their marketing materials. 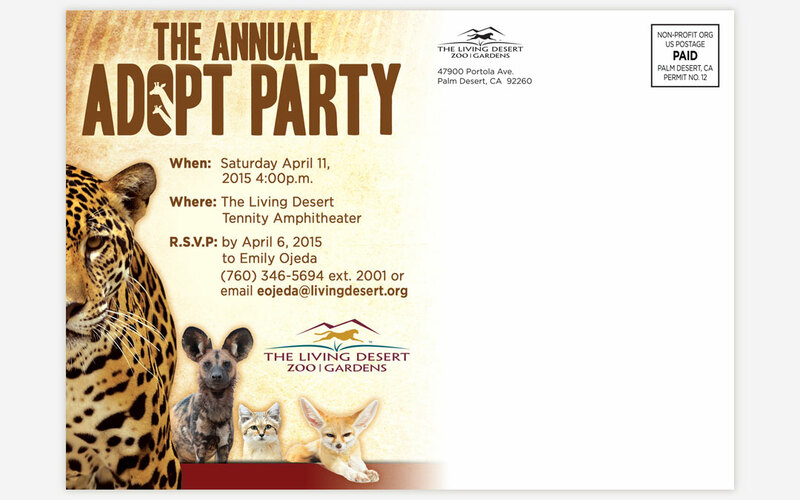 This Adopt Party Mailer was the first piece to be rebranded. 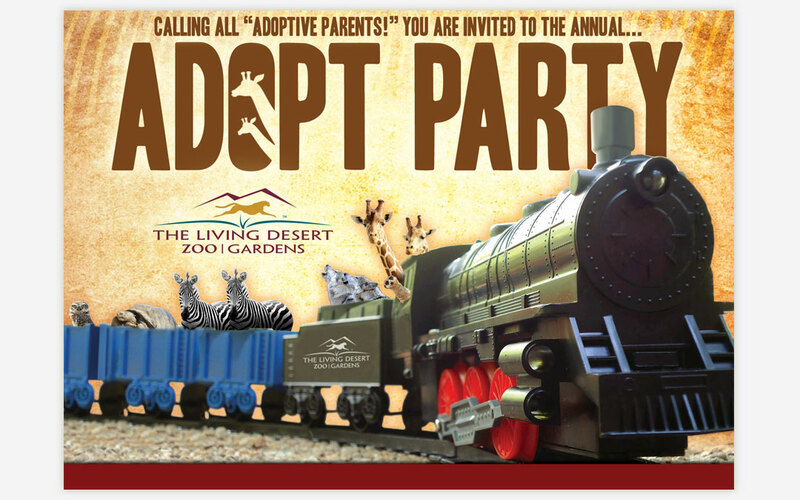 This particular mailer was sent out to all of the members who adopted trains and animals in the past year, to come celebrate their contributions to the zoo and gardens. Their idea was to place the animals in the train, and we made that idea come to life. Not only did Grafx exceed expectations, but we also were able to start the rebranding process with this piece to match their newly updated site.